We have over 2,100 members of The SHIMMER Forums right now! With so many different kinds of wrestling fans out there, we thought we'd throw a fan questionnaire here on the board to find out more about you and your thoughts about SHIMMER. This is a good way to share your feelings about SHIMMER with your fellow board members, and also give us at the company good idea of who each of our fans are, and how you came to become a fan of our product. Thanks for taking the time to give us your reponse! 13. Who do you think has the most promise out of the wrestlers who debuted in SHIMMER during the past year? Thanks for your participation, everybody! 5. How did you first learn about SHIMMER? Heard about it from a friend. 6. What was the first SHIMMER DVD you purchased, and when did you buy it? Volume 1 at Best Buy in September last year. 7. Which Volumes of the SHIMMER DVD series do you currently own? All of them up to Volume 10. 8. Which are your Top 3 favorite Volumes in the series? Volumes 1, 4, and 12. 9. Who are your Top 5 favorite SHIMMER wrestlers? Lacey, Rain, Cheerleader Melissa, Daizee Haze, and MsChif. 10. Who do you think is the best heel in SHIMMER? Lacey, by far. 11. Who do you think is the best babyface in SHIMMER? Daizee Haze or Sara Del Rey. 12. What are your Top 3 favorite SHIMMER matches? Cheerleader Melissa vs MsChif - Falls count anywhere, Amazing Kong vs MsChif, and Allison Danger vs Rebecca Knox. 13. Who do you think has the most promise out of the wrestlers who debuted in SHIMMER during 2007? Sarah Stock and Eden Black. 14. Have you been to any of the SHIMMER tapings live? If so, which ones? Volumes 9-12 and 14-15. 15. What is your favorite wrestling promotion (other than SHIMMER)? ROH. 16. Did you follow American women's wrestling prior to becoming a fan of SHIMMER? If so, how long have you been a fan of American women's wrestling, and which companies did you watch? Not that much, just bits and peices off YouTube and what not. 17. Do you follow foreign women's wrestling? If so, what companies do you watch? Queens of Chaos. 18. Do you closely follow any other American women's wrestling promotion(s)? If so, which one(s)? Chick Fight, WWW, and somewhat WSU. 19. What wrestlers would you like to see in SHIMMER who have yet to appear on our DVD series? Sweet Saraya, Melissa Stripes, Simply Luscious, Jazz, Angel Orsini, Ivory, and Molly Holly. Obviously, with a full roster already, I'm content with who we have now. 20. Other than DVDs, what other types of merchandise would you like to see offered by SHIMMER? Action figures, maybe. I'd buy them, but it's time consuming and what not. 21. If you could change one thing about SHIMMER, what would it be? Shimmer going anywhere else other than Berwyn lol. 22. What other pro wrestling message boards/forums do you regularly visit besides ours? World of Wrestling MB. 6. What was the first SHIMMER DVD you purchased, and when did you buy it? SHIMMER Vol 1, Right when it came out. 20. Other than DVDs, what other types of merchandise would you like to see offered by SHIMMER? Wrestler T-Shirts. 5. How did you first learn about SHIMMER? Through Ring of Honor. 6. What was the first SHIMMER DVD you purchased, and when did you buy it? SHIMMER Volume 1, and I bought it within the first few weeks it was available through ROH. 7. Which Volumes of the SHIMMER DVD series do you currently own? All 10. 10. Who do you think is the best heel in SHIMMER? Rebecca Knox, and Amazing Kong. 11. Who do you think is the best babyface in SHIMMER? Nikki Roxx and Daizee Haze. 13. Who do you think has the most promise out of the wrestlers who debuted in SHIMMER during 2007? Sarah Stock. 15. What is your favorite wrestling promotion (other than SHIMMER)? Ring of Honor. 16. Did you follow American women's wrestling prior to becoming a fan of SHIMMER? If so, how long have you been a fan of American women's wrestling, and which companies did you watch? Not really. I had seen some of the women's matches in ROH and NECW and enjoyed quite a few of them, and had seen some stuff online from Del Rey and Melissa. 17. Do you follow foreign women's wrestling? If so, what companies do you watch? Don't have the time or money unfortunately. 18. Do you closely follow any other American women's wrestling promotion(s)? If so, which one(s)? I've tried to stay current with WWW, but they don't release most of their shows on DVD. 19. What wrestlers would you like to see in SHIMMER who have yet to appear on our DVD series? I'm pretty content with the current roster. 20. Other than DVDs, what other types of merchandise would you like to see offered by SHIMMER? Actual ray guns. 21. If you could change one thing about SHIMMER, what would it be? Live events in the Northeast. 22. What other pro wrestling message boards/forums do you regularly visit besides ours? ROH and DVDVR. I just went up to Shimmer Volume 15-16 500 mile trip up and 500 back. WORTH IT. 16. Did You followAmerican women's wrestling prior to becoming a fan of SHIMMER? If so, how long have you been a fan of American women's wrestling, and which companies did you watch? 19. What wrestlers would you like to see in SHIMMER who have yet to appear on our DVD series? Id love to see Syren come to shimmer if she decides to return to the ring, I always loved her heel character, and shes a large part of what brought me back to womens wrestling. Great person. 21. If you could change one thing about SHIMMER, what would it be? Id just get a mid carder title but I always feel that way about every organization that mid card level should have something to work towards, and the mid card title should not be used only to put over main eventers. 18. Do you closely follow any other American women's wrestling promotion(s)? If so, which one(s)? Not now, but I am thinking about checking out Chick Fight. 19. What wrestlers would you like to see in SHIMMER who have yet to appear on our DVD series? Not really sure I have been wanting Jetta, and haven't really thought about it since she was announced as being in Shimmer. 21. If you could change one thing about SHIMMER, what would it be? I'm really find with the Shimmer product, but if I have to pick something I guess I'll go with the Commentary team some times is too loud to where I can't hear what the fans are chanting. Which I feel takes away from matches were the wrestler interacts with the crowd well like Lacey and Tiana Ringer. 5. How did you first learn about SHIMMER? I caught wind of the very first show through a couple mailing lists I'm on. 6. What was the first SHIMMER DVD you purchased, and when did you buy it? Volume 1, not long after it came out. 7. Which Volumes of the SHIMMER DVD series do you currently own? 1, 3, 4, 5, 6, and 7. 8. Which are your Top 3 favorite Volumes in the series? Volumes 1, 5, and 10. 9. Who are your Top 5 favorite SHIMMER wrestlers? Cheerleader Melissa, Sarah Stock, Sara Del Rey, Lacey, and Rebecca Knox. 10. Who do you think is the best heel in SHIMMER? Tie between Lacey and Rebecca Knox. 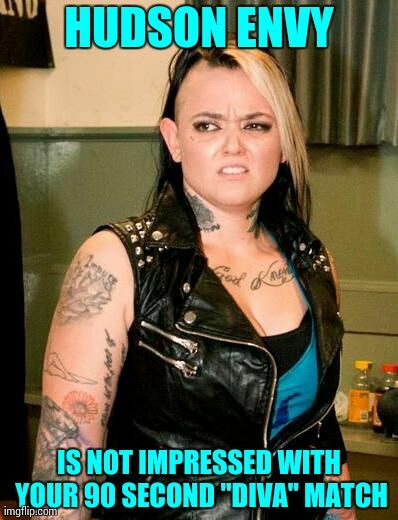 11. Who do you think is the best babyface in SHIMMER? Daizee Haze. 13. Who do you think has the most promise out of the wrestlers who debuted in SHIMMER during 2007? Sarah Stock and Alexa Thatcher. 14. Have you been to any of the SHIMMER tapings live? If so, which ones? I've been to all but the Florida taping. 16. Did you follow American women's wrestling prior to becoming a fan of SHIMMER? If so, how long have you been a fan of American women's wrestling, and which companies did you watch? I've been a big fan of American women's wrestling for about four years now. and enjoy the ChickFight tournaments. I didn't really follow any promotion in particular, just got tapes and DVDs that struck my interest. 17. Do you follow foreign women's wrestling? If so, what companies do you watch? On occasion. Really enjoyed FMW's women's matches, and have picked up a few DVDs here and there. Would love to get some tapes from Europe, especially involving Wesna and Nikita. 18. Do you closely follow any other American women's wrestling promotion(s)? If so, which one(s)? Not really promotions, per se. Just ChickFight and the odd women's DVD that looks good - such as IWA-MS' old "Volcano Girls" tape. 19. What wrestlers would you like to see in SHIMMER who have yet to appear on our DVD series? Wesna, Sumie Sakai, Jazz, Mickie Knuckles, and Trinity. 20. Other than DVDs, what other types of merchandise would you like to see offered by SHIMMER? I don't really buy much merchandise beyond DVDs. About those, I think it would be cool to see more of the wrestlers' own compilation DVDs at the merch tables. 21. If you could change one thing about SHIMMER, what would it be? Make Cheerleader Melissa heel again. She was awesome in that persona. 22. What other pro wrestling message boards/forums do you regularly visit besides ours? None, really. More fantasy wrestling boards, to be honest. As far as pro wrestling goes, I mostly just go to LordsofPain.net for my wrestling news. "I look ridiculous! There isn't much of me to begin with! . . . I'm lopsided!" - Scree the stone gargoyle from the PS2 game Primal after having a cage fall on his head, knocking off one of his ears. I don't really follow any other promotions. Yes, I have been a fan ever since I saw Sherri Martel on WWF television sometime in 1992. Sort of; I have seen some old AJW, Arison, AtoZ, and NEO. Not really a change but more of an addition; I would like to see more promos or video packages in between matches. Volume 1, well after retail release at Best Buy. 1-4, 6-10, will own 5 as soon as I find it on a retail shelf. Lacey, although Kong is the most dominant. 4 corner elimination:Josie vs. Malia Hosaka vs. Rain vs. Alexa Thatcher, Serena Deeb vs. Cindy Rogers, Minnesota Home Wrecking Crew vs. Cheerleader Melissa & MsChif. Introduced to it by G.L.O.W. back in the late 80's, a little LPWA in the 90's, watched W.O.W. in 2000, have found W.E.W. unwatchable, currently also following WSU. Maybe a screen saver CD-ROM. Just more of a good thing, and more trips to Florida. 5. How did you first learn about SHIMMER? A guy on a wrestling forum that I post at knew I loved Women's Wrestling and he told me about it. 6. What was the first SHIMMER DVD you purchased, and when did you buy it? Shimmer Vol. 1, I got it at Christmas (three times seeing as it was one of the number one things on my list, haha). 10. Who do you think is the best heel in SHIMMER? Lacey, obviously. 11. Who do you think is the best babyface in SHIMMER? Daffney, she's not a top player right now but she's very enthusiastic and gets a great reaction for her personality. 13. Who do you think has the most promise out of the wrestlers who debuted in SHIMMER during 2007? Alexa Thatcher. 14. Have you been to any of the SHIMMER tapings live? If so, which ones? Vol. 14-15 and I hope to attend more. 15. What is your favorite wrestling promotion (other than SHIMMER)? Currently, I don't have one. I've just started getting into ROH and PWG. 16. Did you follow American women's wrestling prior to becoming a fan of SHIMMER? If so, how long have you been a fan of American women's wrestling, and which companies did you watch? I've only ever watched WWF/E and a little bit of WCW, but for the most part I only cared about the Women's Division. 17. Do you follow foreign women's wrestling? If so, what companies do you watch? None at the moment. 18. Do you closely follow any other American women's wrestling promotion(s)? If so, which one(s)? None at the moment. 19. What wrestlers would you like to see in SHIMMER who have yet to appear on our DVD series? Luna Vachon, Molly Holly, Jazz, and Ivory. 20. Other than DVDs, what other types of merchandise would you like to see offered by SHIMMER? Action Figures would be AMAZING, however I'm sure that wouldn't be possible. Wrestlers' shirts, Shimmer hoodies, Posters. 21. If you could change one thing about SHIMMER, what would it be? More definite feuds and backstage promo's, etc. Add Luna Vachon to the roster. 22. What other pro wrestling message boards/forums do you regularly visit besides ours? Wrestlingfigs.com and WWAlliance.org when it was there. I read about it on PWInsider, announced the company was starting up. Vol. 1 and Vol. 2 I purchased at the same time shortly after Vol. 2 was released. I currently own all of the volumes that have been released, 1-10. Probably ChickFight if that counts, ROH maybe. Yes, I believe around 2002 a friend showed me some ladies in the independents and Japan because he wanted me to know there was more than just WWE. Then I saw a match involving Taylor Matheny, Bionic J, and Cheerleader Melissa from Japan and I was hooked From there it was any Joshi I could get my hands on, to ChickFight, purchasing compilation discs like the IWA-MS and so on. Not so much anymore. I used to pay close attention to ARISON. ChickFight mostly. Through the internet and a friend who lives in the area, WWW. And very loosely, WSU. Jazz, Ivory, and Molly(I would love to see her face Lacey! ), also Mariko Yoshida and Aja Kong if foreign talent is being considered. More clothing and posters. More talent based merchandise, if possible. More trips to Florida. ;D Honestly with the exception of faster releases (which has already been explained why its not possible), I really have no complaints. Yes, though it is difficult to get access to the DVDs here in Australia, so you have to order internationally. Otherwise it's watching streaming videos. I own all the Chickfight DVDs. I've probably followed women's wrestling for a good three years now. Not closely. I more often than not follow the wrestlers that I like. None for the moment - the roster is pretty full with enough depth for some time. Everything! Shirts definitely, caps, stationary things - all with a wide variety of styles. Other than a tour down here (which, lets face it, ain't happening), maybe another belt for the midcard or tag team. But a bit further down the line. 4. Location: oak lawn, il. 6. What was the first SHIMMER DVD you purchased, and when did you buy it? volume 1. Bought it in late 2006. 14. Have you been to any of the SHIMMER tapings live? If so, which ones? none. 17. Do you follow foreign women's wrestling? If so, what companies do you watch? Nope. 18. Do you closely follow any other American women's wrestling promotion(s)? If so, which one(s)? nope. 19. What wrestlers would you like to see in SHIMMER who have yet to appear on our DVD series? roster is pretty good at the moment. No name really comes to mind. 20. Other than DVDs, what other types of merchandise would you like to see offered by SHIMMER? Posters, hoodies, skull caps, and STICKERS!!! 21. If you could change one thing about SHIMMER, what would it be? Another title in play, whether it be tag team or a midcard belt.